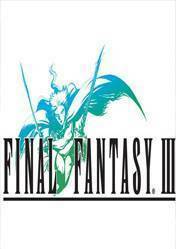 FINAL FANTASY 3 is the third installment of one of the most prestigious franchises in RPG Marketplace. Now it has been optimized for PC with new and improved 3D visuals effects, plus the story sequences. New visual designs for the Job Mastery Cards and impressive graphic enhancement adapted to existing equipment that will delight all fans of this awesome series of RPGs and turn-based action. The game is available for direct download from the Steam platform. There are no comments yet about Final Fantasy III . You can be the first one!